When you need expedited freight shipping, rely on the speedy, dedicated service of Direct Drive Logistics. We will respond immediately with the right solution to get your freight delivered safely and on-time. We offer a wide variety of shipping containers and a large selection of trailer measurements for your shipping needs. Connect freight to the top, most reliable expedited owner operators across the United States. Direct Drive Logistics coordinates reliable truck drivers and motor carriers to deliver expedited freight safely and efficiently. Direct Drive Logistics provides around the clock freight shipping solutions ensuring time critical shipment requirements are met. Our logistics consultants will track your shipment through the entire process from the moment it leaves your dock until it is safely delivered to final destination. Our logistics team is dedicated to make sure your freight is delivered in the most cost-effective timely, manner, even when it comes to speedy deliveries. Whether it's expedited LTL or a small hot shot cargo van shipment, our logistics team is on your expedited freight transportation in no time, tracking your shipment around the clock until on-time arrival. We are committed to getting your cargo to its destination on-time, every time. As your partner in expedited freight shipping solutions, Direct Drive Logistics provides the following services to get your freight moving straight away. 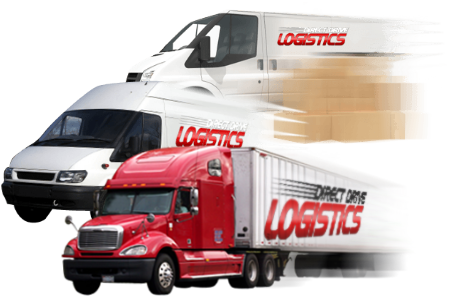 If you are looking for a carrier, start with Direct Drive Logistics. All across America, businesses both large and small rely on Direct Drive Logistics to expedite small shipments. Usually, these businesses are shipping small quantities of products short distances, often from one jobsite to another. In many instances, time is of the essence. This is where our nationwide network of Cargo and Sprinter vans really shines. These vans are ideal for expedited shipments, whether across town or cross-country. Our ability to quickly coordinate “hot shot” runs is unmatched in the industry. And if your shipment involves a long distance run, it will arrive considerably faster than if you had to put your load on a large container truck along with several other shippers’ loads. For shipments of fragile or uncrated products or samples, we are also uniquely equipped to locate “white glove” shippers with a superb record of success in handling specialty shipments. As part of our commitment to personalized service, you will be assigned a dedicated logistics consultant who will be your single point of contact throughout the entire process. This simplifies communication immensely. Your consultant will track your shipment every mile of the way and keep you informed on its progress. In the event of any changes which may arise, you will be notified immediately. Whether you are looking for a one-shot delivery or a regular resource for shipments that don’t require a semi-truck, Direct Drive Logistics delivers. Literally and figuratively. We understand any concern you may have about who exactly will be transporting your load. We share the same concern. After all, it is our reputation on the line. This is why we only work with experienced drivers who have a great driving record and a commitment to excellence. Like all the people and businesses we work with, our drivers are thoroughly vetted before becoming a part of our network. Insurance: We’ve Got It Covered. While most logistics companies do not carry their own policies, we believe this is the only way to truly be accountable to our clients. To that end, we carry both Primary Cargo/Auto/Errors and Omissions, as well as Contingent Cargo coverage. We also have a Carrier Tier system to identify any potential risks with the motor carriers we work with. This enables us to get as much information as possible about the motor carrier who will be transporting your load. Our freight brokers do everything we can to eliminate safety risks and ensure your freight arrives with no damage. Lift gates fit on our freight carriers ensure drivers and owner operators aren't risking their health handling heavy cargo. Unloading and loading requires much less contorting and physical effort using dollies and carts with the help of hydraulic liftgates. Safer practices means quicker shipping and less freight damage. The result? A better, more affordable shipping solution. Expedited tractor trailers move hot shot full truck loads. Intermodal shipping containers full of time sensitive freight are no problem for Direct Drive Logistics’ tractor trailers. We’ll get your cargo from Point A to Point B quickly and efficiently with no worries. Whether it’s an LTL or FTL shipment, if it’s too big for our straight truck, we’ll put it on a trailer and get your goods where you want them. Our network of drivers is ready to take your urgent cargo and get it anywhere in the US on time and on budget. Expedited shipments of cargo too big for a sprinter van but too small to merit a container should be sent in a straight truck. Direct Drive Logistics has straight trucks capable of holding up to 12 pallets of whatever cargo you have. 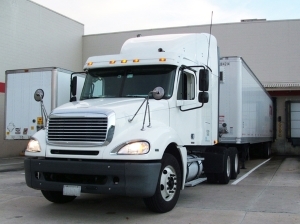 Refrigerated and vented trucks are available for special loads. You can depend on Direct Drive Logistics to get your freight where you need it, when you need it and at the cost we quoted. Weight Capacity: up to 14,000 lbs. Sprinter Vans have proven to be a very cost-effective method for expediting freight. There are various models of Sprinter vans from a variety of manufacturers, including Mercedes Benz, Dodge, Ford, Freightliner, Chevrolet and a few other makers. Cargo loads, dimensions, and maximum weight vary with the manufacturer and the model. Generally speaking, however, their capacity is 2 to 4 pallets (depending on wheelbase length) and anywhere from 3,175 lbs. to 5,505 lbs. Whether you are a driver looking to find Sprinter van loads or a business looking to have something shipped, contact a logistics broker at Direct Drive Logistics today. Weight Capacity: up to 3,000 lbs. Door Opening: (W x H) : 48" x 46"
Inside Dimensions (L x W x H): 170" x 53" x 72"
In addition to the full-size Mercedes and Dodge Sprinter vans, our brokerage can also contract with drivers running the smaller Ford Transit van and other vehicles of similar size. These smaller Sprinter style vans are ideal for short “hot shot” runs within a city or to a nearby town. Whether it’s expediting delivery of AV equipment across town for a meeting or rushing replacement parts or tools to a jobsite, Direct Drive Logistics can handle the logistics flawlessly. Weight Capacity: Up to 1,620 lbs. Cargo vans are also well-suited to “hot shot” loads, particularly for LTL loads. Many of these vans are equipped with ramps to facilitate the loading and unloading of heavy items. The Ford cargo van and GM Express cargo vans are among the most commonly used for local cargo van loads and have excellent load capacity. Whether you are a business looking to have freight transported, or a driver looking for cargo van loads, contact logistics broker at Direct Drive Logistics to learn more. Weight Capacity: up to 2,500 lbs. Inside Dimensions (L x W x H): 50" x 48" x 46"
Our woman owned logistics company is your reliable expedited logistics provider with a reputation for delivering satisfaction guaranteed solutions. Direct Drive Logistics delivers prompt, devoted service our customers have come to expect with each and every freight shipment no matter the terms, time constraints, or haul. When it comes to fast, dependable express ground transportation, we are your expedited freight shipping partner. Get a free freight quote from expedited freight brokers at Direct Drive Logistics.